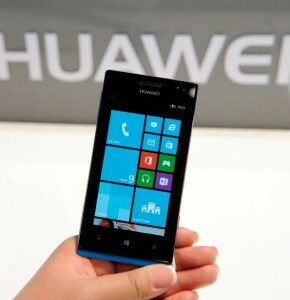 China’s leading telecom company Huawei has paired up with Microsoft to manufacture a low-cost smartphone exclusive to African markets. Called the Huawei 4Afrika Windows Phone, it will be sold for $150 in Egypt, Nigeria, Kenya, Ivory Coast, Angola, Morocco and South Africa. “Our aim is to be the most affordable Windows phone in Africa,” Gustavo Fuchs, director of Microsoft Windows Phone division in the Middle East & Africa, told the BBC. According to a statement released on the Windows website, the phone includes a 4-inch 480 x 800 display, dual-core 1.2 GHz Snapdragon processor, front and rear-facing cameras, and 4GB of internal storage housed in a 10 millimeter-thin case. Huawei says that the phone’s power-saving technology allows the phone to deliver about 420 hours of standby time. The phone is expected to be well-received in a market that has shown growth in recent years. According to a joint report from the World Bank and the African Development Bank, rapid modernisation and upgrading of information infrastructures in just the past five years has enabled the number of cellular subscribers to reach 650 million in 2012. Such a market is bigger than the US or the EU and comes second only to Asia. The World Bank says that such growth is “quickly changing lives, driving entrepreneurship fueled in part by collaborative technology hubs, and delivering innovation and home-grown solutions for Africa”. The report expects that Africa will also see an increase in Internet and computer usage, which will nourish a growth in Information and Communication Technology (ICT) innovations. “We believe there has never been a better time to invest in Africa and that access to technology—particularly cloud services and smart devices—can and will serve as a great accelerator for African competitiveness,” Jean-Philippe Courtois, president of Microsoft International, said in a statement. In the meantime, Huawei continues to face barriers as it tries to make inroads into US markets, where it has been described by some as a potential threat to US national security.